Obstructive sleep apnoea can cause interruptions to your breathing throughout the night while you are sleeping, each episode lasting from 10 seconds to two minutes. After each episode you may wake up briefly; most of the time, you do not awaken and are unaware it is happening. You may feel your sleep is disrupted and not refreshing. 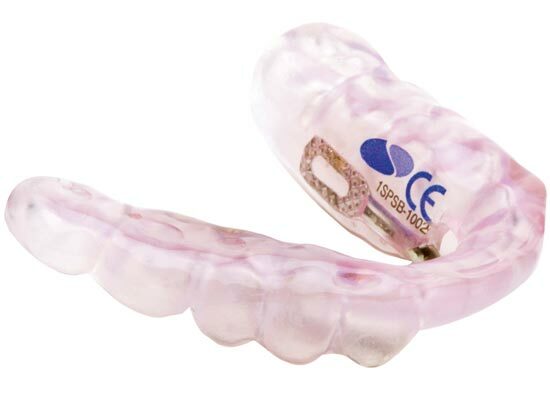 Oral appliances made by a dentist can be an effective method of treating snoring and obstructive sleep apnoea. When you are awake your airways are held open by the tone of the muscles around them. During sleep these muscles relax, in some people the soft tissues relax too much or collapse leading obstruction of the airways. To overcome this obstruction, the person breathes harder using the chest wall muscles and diaphragm. But the harder you try and breathe the more the walls of the airway collapse and then breathing stops. Signs and symptoms of sleep apnoea can include loud snoring, tiredness on waking, excessive daytime sleepiness, choking or gasping during sleep, a sore dry throat, headache, poor concentration, irritability, anxiety and depression. 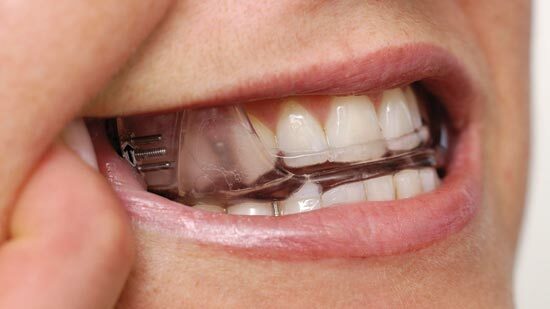 SomnoDent therapy is a custom made appliance comprised of upper and lower dental plates with a unique patented fin design which allows normal mouth opening and closing. The appliance is worn when you sleep, helps to keep the airway open by bringing the jaw forward and holding the tongue forward. Construction of an appliance will involve an initial visit to examine your teeth and mouth to confirm your oral health status, as well as ensuring it is an appropriate device. Impressions and a bite registration will be taken so that the SomnoDent prescription can be completed for construction of the medical appliance. At the seating appointment the appliance with be placed into your mouth and checked for fit, to give you instructions on use and how to care for it properly. Titration visits are required for adjustments to be made to determine the optimal position of the appliance. Once the optimal position is achieved your dentist will refer you back to your sleep physician. Side effects of oral appliance therapy may be discomfort around the teeth and jaw joint, dry mouth, excessive salivation, irritation to the soft tissues and irregularities or changes to the bite. Roo Dental uses the Somnodent system to treat snoring and sleep apnoea.